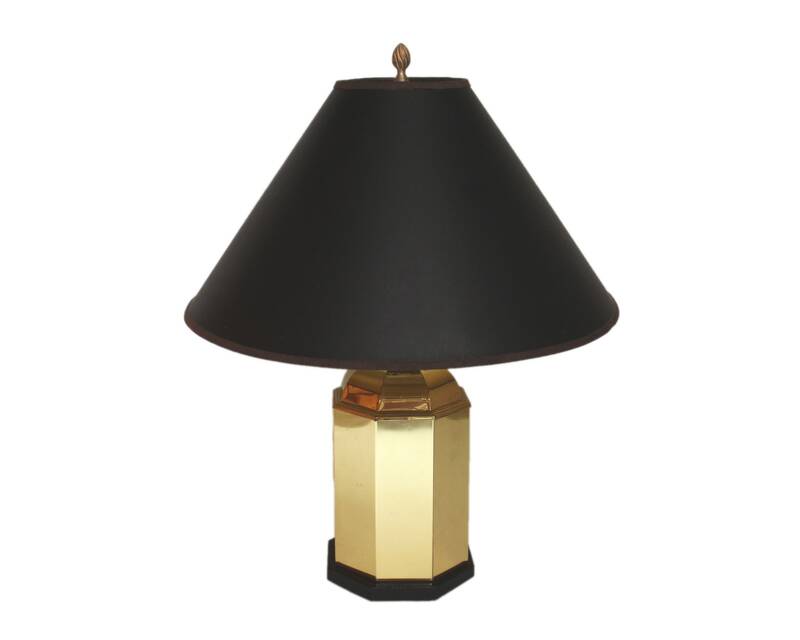 Large Octagonal Brass Table Lamp with ebonized Wood Base. Some visible scratches to one side. Original wiring. Lamp: 27" Overall height (to the finial), 16.75" To the bottom of the socket, Base 7" x 7". Shade is only included with a local delivery in the NYC area and The Hamptons. Please let me know if you'd like to have the shade shipped as well and the shipping can be calculated and then added.